Since having kids, you can probably pack for yourself blindfolded! You may still need help when it comes to your children and, of course, you want them to have the best time possible on your family beach vacation in Africa. We know that you want to relax and not worry about the details during your special time away, so here is a handy infographic to give you a head start on packing for your kids, as well as our top tips and suggestions on what to bring along. Sun protection – a wide-brimmed hat, UV protective sunglasses, and high SPF waterproof sunblock are non-negotiable. Even in Africa’s mid-year winter, there will be plenty of sunny days and sun protection is vital. Favourite snacks but remember no fresh produce or meats are allowed through airports. Favourite toys - it’s always nice to have one or two familiar things from home. Beach gear including a snorkel, goggles, balls, bats, buckets and spades… but ask your Africa Safari Expert to check with your hotel about what toys they provide. Educational toys are great to get them excited about your destination, for example map books, themed colouring-in books, and animal checklists. If you have little bookworms on your hands, don’t forget a few good reading books! Good old-fashioned pen, paper and crayons for drawing (once again, resorts with kids’ clubs may have stocks of these items so ask your African expert to check). For teens and older children, you could consider binoculars or a small digital camera to get them in the travelling spirit. Favourite electronic devices – iPods, e-readers and iPads. Do not bring a drone without ensuring that you have the necessary permits or permission. More and more resorts have Wi-Fi access throughout but don’t forget the proper electronic plug converters to charge your devices. Two bathing suits so one can be worn while the other dries. Sandals as well as closed shoes. Floatation devices are essential for toddlers. Water bottle or sippy cup. Many hotels in Africa also provide reusable bottles that can be easily refilled to cut down on single-use plastic bottles. Baby powder or talc is great for removing sand from sticky hands and feet. Tissues and wet-wipes always come in handy! 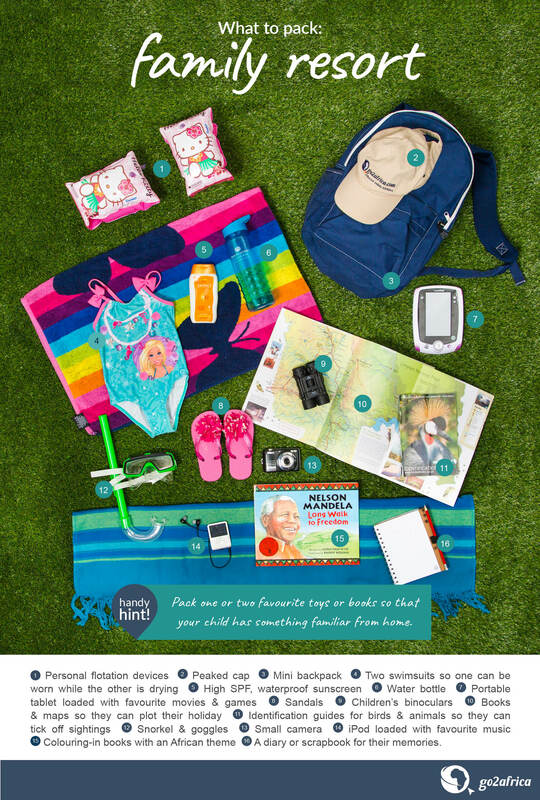 Still planning your perfect family beach getaway? Chat to one of our African Safari Experts for first-hand travel advice on Africa’s best family-friendly destinations.